The angels send Anna back in time to kill John and Mary Winchester before they can conceive Sam knowing that if Sam was never born then Lucifer won’t be able to use him as his vessel. 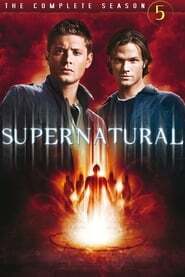 Castiel sends Sam and Dean back to 1978 so they can stop Anna, and the two brothers are reunited with their parents. Mary recognizes Dean as a hunter since he visited her in the past once before but tries to keep the truth from John.